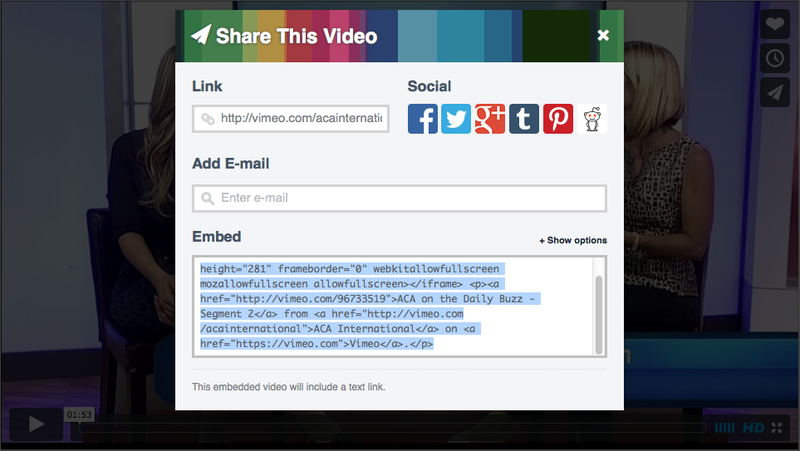 Find the Vimeo video as if you were going to watch it and click the “Share” button the upper right. Copy the “Embed” code highlighted in blue. Note that you can also “Show options” to make some adjustments if needed. If you click to the “Visual” tab, you can see the gray box where the video will appear. 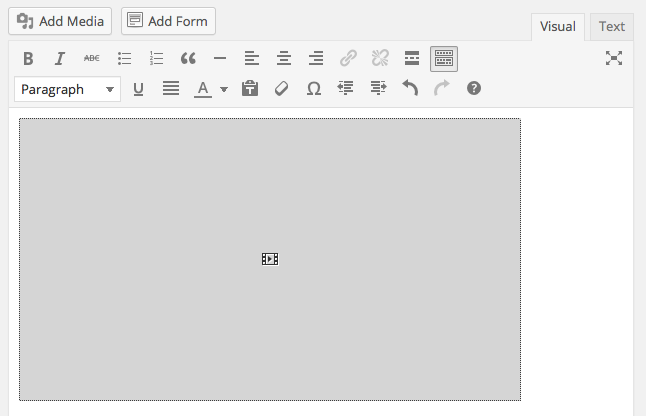 After you’ve saved your page/post you can preview or look at your website to see your handiwork!